The Centre for Health Policy organised a recent policy forum to re-examine and celebrate the 50th anniversary of a landmark speech by the former Prime Minister Edward Gough Whitlam. The address was, and continues to be, a penetrating critique of health policy decision making at that time. 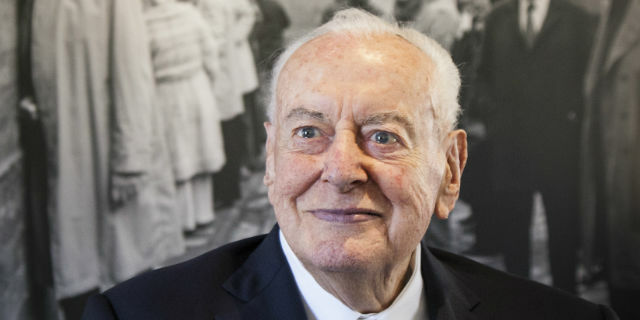 In his speech, Whitlam argued the case for greater use of economics, better data to inform health policy decision making, and increasing health system efficiency by promoting competition. The full program from the forum that includes the full text of Whitlam’s speech can be accessed here. Whitlam's Vision: Before It's Time - An overview of Whitlam’s speech and the forum Professor Philip Clarke, Director Centre for Health Policy, University of Melbourne. Evaluating pharmaceuticals; how far have we come? How much further to go? - Professor Rosalie Viney, Director Centre for Health Economics Research and Evaluation (CHERE), University of Technology Sydney. Using Financial Incentives To Modernise Medicare - Professor Anthony Scott Head of the Health Economics Research Program at the Melbourne Institute of Applied Economic and Social Research at The University of Melbourne. Bringing Home The Bacon: Ways to promote efficiency and equity in the Australian Health Care system - Professor Philip Clarke, Director Centre for Health Policy, University of Melbourne. The Vanguard State Linking Up Health Data in New Zealand - Professor Tony Blakely, Centre for Health Policy, University of Melbourne and the University of Otago. Competition And The Health Sector, Where Next - Dr. Stephen King, Commissioner, Productivity Commission. Professor Philip Clarke and ANU economist Professor Warwick McKibbin wrote an Editorial The health system is still awaiting Whitlam's modernisation for the newspaper The Australian Financial Review to mark the 50th anniversary of Whitlam’s speech.